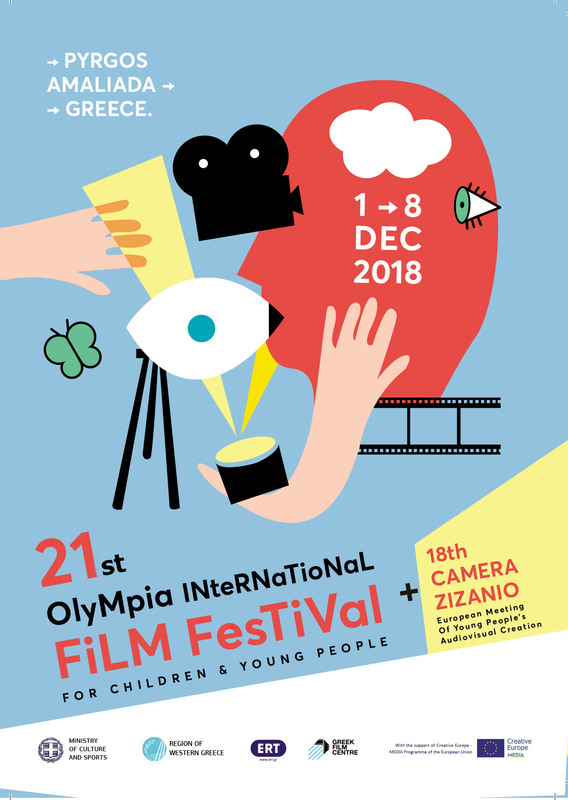 Perhaps the most important thing about Camera Zizanio and Olympia International Film Festival for Children and Young People isn’t the films, the awards, the film workshops of the international meetings. Maybe the most important is the exceptional friendships among the youngsters. Friendships that thrive. The reason for this remark is the activities by a group of very talented youngsters from Barcelona, high school students, called INVITIA Productions. They are regular visitors of the Festival, in which they participate with their films. This time, however, they exceeded the standard time of visits. Two youngsters from this group, Inaki and Marina, arrived in Greece on early July. And where did they head to? Pyrgos, Ilia Prefecture. We assumed that they came here for vacations. But we were wrong or rather we were half wrong. The purpose of this trip was revealed a while ago when they uploaded on YouTube a trailer of their new film, with the title “DIAFORA”. A word understood by everyone. A film, from what we see, detects with great sense of humor, similarities and differences between Greece and Spain in conditions of acute economic crisis. They start shooting the film in Barcelona and completed it in Greece with the cooperation and of their Greek friends here. As expected, the premiere of the film will be during the 13th Camera Zizanio, this December. Until then… enjoy the trailer.